The Priory Hotel stands in over four acres of carefully, and lovingly cultivated English cottage gardens, on the banks of the river Frome – an idyllic location where peace and tranquility prevail. 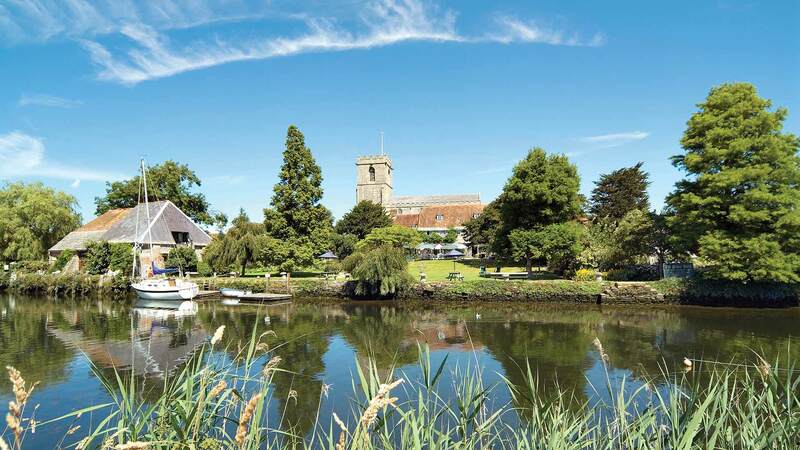 Wareham is not a noisy town and the hotel is in a quiet corner with superb views of the river, valley and hills beyond. The building’s history stretches back 1,300 years, give or take a century. For five hundred years there were monks in residence and before that a convent of nuns. Today, it’s the perfect place to celebrate a special occasion, with 18 luxury ensuite bedrooms, from romantic suites opening on to the river, to smaller (but no less romantic) bedrooms overlooking the gardens. Accommodation is available both in the main house and in the hotel’s boathouse.